I’ve loved Archive.org for a lot of reasons over the years. Many of my early podcast files are hosted there for free, their Wayback Machine lets you see older versions of almost any website (but not my first site, as it went down before they could get to it, THANK GOODNESS! ), I have lost far too much of my free time to their large collection of emulated DOS games (Oregon Trail? Oregon Trail! ), but now I’ve found out about THIS. 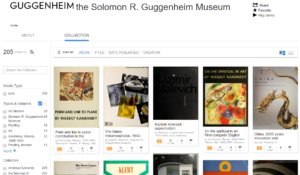 Apparently the Guggenheim Museum has the rights to a number of visual art books, and they’ve uploaded them to Archive.org for our enjoyment. The books can be viewed online, of course, but also downloaded in a variety of formats including pdf, ePub, and Kindle. This reminds me of that bygone era when my primary role as an educator more likely than not had me ending the day covered in paint. 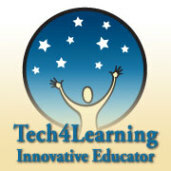 I frequently displayed images in the classroom from a variety of sources. If I was lucky I’d have a transparency that I could place on our overhead projector while we worked, but sometimes I had to resort to holding open a large art book and walking around the room while students tried to take a glance at the image we’d be emulating that day. The books are gone, donated to my school’s visual arts classrooms after a move into a smaller apartment left little room for storage, but now I can get my pop art fix whenever I want it.